Bacon Pro's microwave bacon cooker will cook 23 slices of bacon all at once. That's more bacon than any other microwave tray, plate or rack. It's more than twice the bacon that could be cooked by any other method on a stove-top or oven. Who has the time? On average, sliced bacon is approximately 2" wide and 10" long. Those dimensions present a clear challenge to those who have traditionally cooked bacon in a 10" to 14" diameter skillet. In a skillet, the two slices in the middle fit just fine, but you end-up scrunching it all up in an attempt to get more in, and you still end up short. The same is true if you opted to use a large electric skillet. You can get a few more slices on a bun pan for cooking in a conventional oven, but who wants to deal with the smoke when grease splatters on the heating elements. And, who wants the task of cleaning the oven? The Bacon Pro bacon cooker is a single molded piece, so there are no parts to lose or assemble. 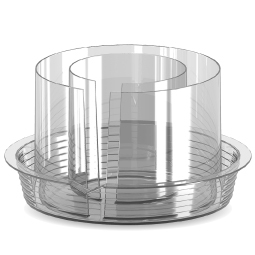 It was designed with two circular cooking racks with a combined linear length of 40 inches. That's 451 square inches of cooking space. That's an enormous amount of cook-space packed into this relatively small bacon cooker. That is enough cooking space to easily fit 23 or more slices of bacon. It's amazing. 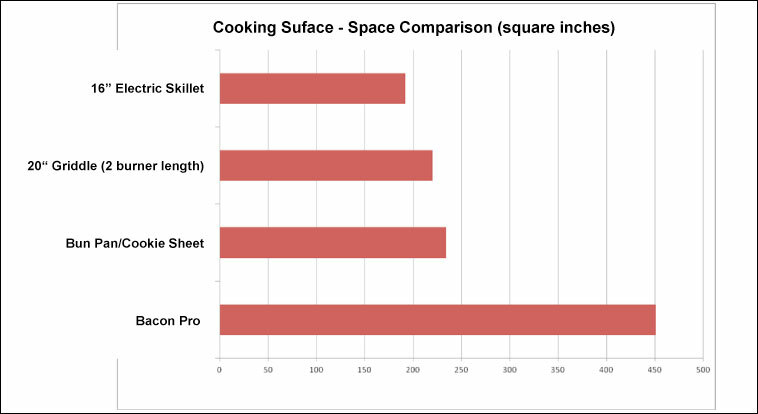 The following cooking space comparison chart illustrates the difference. Chart: The electric skillet, griddle, and bun pan used in this chart comparison are the largest models available for home use. Round skillets have even less space. 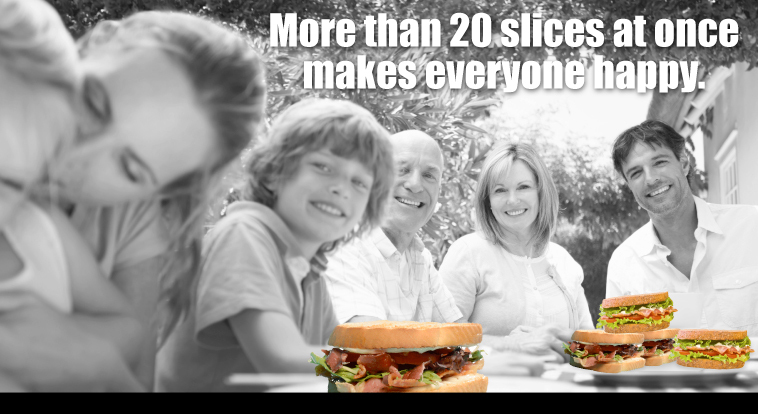 The Bacon Pro gives you the flexibility to cook just a few bacon slices for yourself or enough for your entire family. It cooks enough bacon for you to invite friends over and it expands your culinary possibilities for entertaining. We've had a customer write us to say they have loaded as many as 26 slices of thick cut bacon weighing 2 pounds. Cooking a large batch of perfectly crisp fresh bacon for breakfast, BLTs, club sandwiches, or salads is a breeze with a Bacon Pro. Some of our customers take it to a higher level by adding bacon to casseroles, quiches, and other dishes. Simply precook and freeze them for later use. It makes life a little easier when you can warm a dish to serve when your time is limited. Go ahead and please your family or guests with the great taste of bacon. Cooked bacon is great to have on-hand as an add-in flavor enhancer and you can always save any left-over bacon for later use. Bacon will keep its great flavor for up to 3 days when refrigerated, and before it begins to lose its flavor. Some kitchen housewares experts believe it is the best bacon cooker ever made.